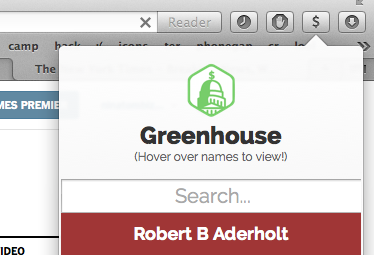 Click on the name in the popup to get more detailed information on opensecrets.org. 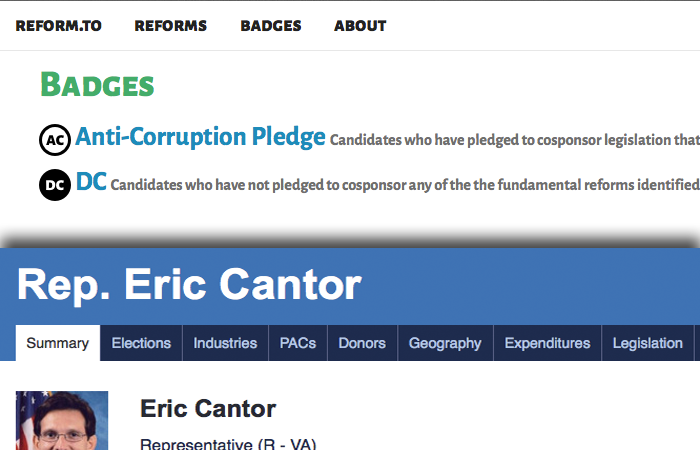 Click on or to see which campaign finance reform bills each member of Congress supports on reform.to. 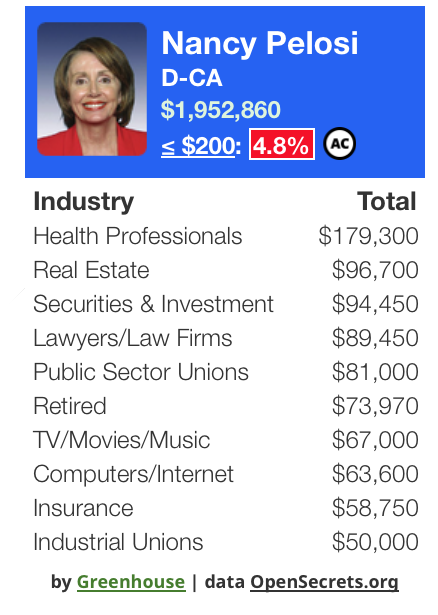 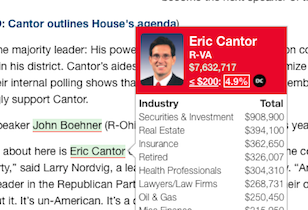 Click on the small donor percentage for a ranked list of all members of Congress.